Cate: Please welcome Diane Scott Lewis. Diane, will you please share a short bio with us? Diane: Hi, Cate, I’m thrilled to be your guest today. 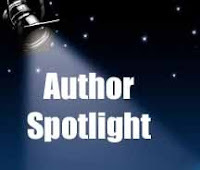 I am an ex-navy radioman (woman) and write book reviews for the Historical Novels Review and worked at The Wild Rose Press from 2007 to 2010 as a historical editor. I served as president of the Riverside Writers, a chapter of the Virginia Writers Club, inc. from 2007 to 2008. Cate: Tell us about The False Light and where it's available. Diane: My debut novel, The False Light, was released in April this year by Eternal Press. The reviews have been wonderful, and I won the CTRR award from Coffee Time Romance. Here is a blurb: Fleeing the French Revolution, Bettina Jonquiere struggles to survive in a remote Cornish village, discover the secret behind her father's death, while attracted to a man who may have murdered his wife. Cate: Very exciting! Congrats! Please tantalize us with a story blurb or excerpt. The Hunter laughed again, a nasty croak like the malignant toad he resembled might emit. He pulled her gelding toward the bushes. He nodded and continued to drag her mount along. Bracken scratched at her legs. Bettina jerked up her skirt, swung her left leg over the pommel and slid off Shevall’s right side. She stumbled when she hit the dirt, but lurched up. The Hunter frowned and looked about to dismount. Bettina rushed into the woods. She’d made a serious blunder in seeking him out alone, with no weapon or aid. Her skirts hiked to her knees, she jumped over brush and darted around trees and over gullies. Out of breath and dizzy, she saw the back of the Camborne barn and stables, the rear of the estate. After a dash over the low hills, she passed a cemetery knoll, flew across the clearing and ran to the rear door of Bronnmargh. She pounded her fist on the kitchen door, gasping for breath. She had to find help. The door creaked open and she flung herself inside, propelled by fury. Cate: Whew! Compelling. Can you tell us why we're going to love your hero? Diane: Everett is a strong, hard-working man who took in his orphaned nephew out of compassion. But he’s damaged by his cruel experience with marriage, until he meets my heroine and he reveals a passionate heart. Diane: Though it is fiction, I try to research the day-to-day lives and history of the era to ground my stories in their time-period. In other words, the gritty truth, not the idealized version you see in so many novels. People didn’t bathe much in the 18th century, and I show the struggle of the poorer classes. Diane: I’ve finished revising a novel, Elysium, that takes place on the remote island of St. Helena during Napoleon’s exile. I throw a fictional heroine into the French entourage who will change the accepted course of history. I’m very excited about it. I’m also working on my sequel to The False Light. Diane: watching historical movies inspired my interest in the past. Then I’d read books about the different eras and think of myself living in those times and what I’d do, how I’d manage. I love inserting someone in a strange place and seeing what she does to cope and rise above the struggles. Diane: I try to write early in the morning, sometimes I rise at 5 a.m. That seems to be my more productive time, 5 to about 1p.m-when I can manage it around family obligations! Diane: What compels you to purchase books? If you purchase my book, please contact me through my website and let me know what you enjoyed about the story. I’ll give a free PDF of my book to a random commenter, and pick the winner on August 21st around 3 p.m. EST. Cate: You heard Diane - don't miss your chance to read this exciting novella! Thanks for being my guest, Diane. Best of luck with all your projects. Welcome Diane! Happy to have you here today. Cate, thank you for inviting me. Your site is beautiful and you're so generous to host other authors. I would love to be in the running for Diane's book. 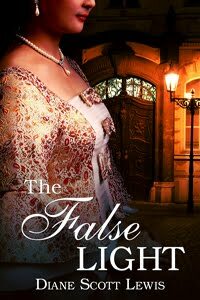 She's an amazing writer--I'm privileged to read her work before publication but have not read The False Light. I have a silly question to ask that might help others reading this blog post. If not, I'm happy with showing my ignorance. Can an E book be transfered to a Kindle reader and if so, how? I do have Kindle for Mac on my ITouch and would love the freedom to read this book on the go and not be tied to my computer! I am so happy to see your book doing so well! You are a fabulous writers (and editor!) and I wish you all the luck in the world with your writing. I have not read a book set in this period before and I am intrigued...yours is going on my TBR pile. Great Excerpt Diane! I wasn't aware you'd been an editor for The Wild Rose Press. No wonder I always love your crits! Hi Diane and Cate. Thanks for sharing with us today. Best wishes for continued success with your book, Diane. It's always awesome to find out more about people you know. I had no idea you were ex-military, but I already knew that I loved your writing style. As someone who has had the privilege of reading your manuscripts and offering insight, as you have with mine, I consider myself very lucky.Readers who discover Diane Scott Lewis are in for a treat. Sounds like a great book. I have a fondness for the French Revolution. Thank you all for your kind comments. I appreciate them. Sounds like a great read!! You are a new author to me!! I enjoyed the interview and learning about you and your book!! Thanks!!! Thanks for all your comments. The winner of a PDF of my novel is....drum roll...Debra Marvin. Thanks Cate and Diane for the opportunity to learn more about Diane and... drum roll again... for the book. I can't tell you how pleased I am! Alice and Judy, I strongly suggest you try Diane's book! Great interview, ladies and I enjoyed the excerpt, Diane!